Angeli was commissioned by the Salt Lake Olympic Committee to create Millennium Skater to commorate the first Olympics of the New Millennium. Primo Angeli earned his Bachelor of Arts Degree in Painting and Print making from Southern Illinois University. He also holds a Master’s Degree in Designs Communications from the University on scholarship under Buckminster Fuller and Harold Cohen. 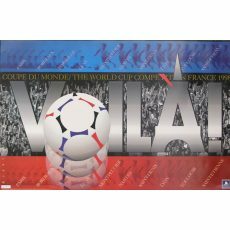 Primo Angeli’s poster was chosen by the International Olympic Committee as the official poster of the 1996 Centennial Olympic Games in Atlanta, GA. Fine Art Ltd created a limited edition serigraph signed and numbered by the artist. It is beautiful and this was the first time a signed print was created from the official poster. 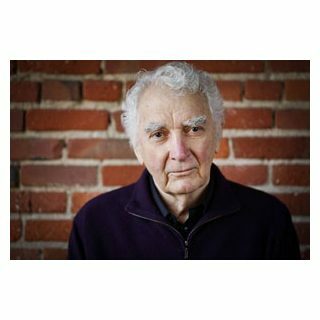 Since establishing his San Francisco firm in 1967, Primo Angeli has built an international reputation in the field of graphic communications. As creative director of Primo Angeli Inc. (PAI), Mr. Angeli’s main endeavors are packing, corporate identity, and environmental graphics. His personal interests are as an artist and poster designer. In early 1994, Primo Angeli’ Inc. was selected from nearly 500 applicant firms to join the design team for the Atlanta Committee for the Olympic Games in 1996. PAI’s client list also includes Coca-Cola, Nestle, Visa, Hunt-Wesson, Kraft General Foods, General Mills, Crystal Geyser, Brown-Forman, Miller Brewing, Quaker Oats Company, Shaklee Corporation, Hyatt Hotels Corporation, G. Heileman Brewing Company, Henry Weinhard, DHL, Worldwide Express, Christian Brothers Winery, Bank of America, Wells Fargo Bank, AT&T, Banana Republic, Levi Strauss, Philippine Airlines, the Oakland A’s, the San Francisco International Airport, Xerox Corporation, The Asian Art Museum, and Guinness. The Primo Angeli creative group has received over 400 awards for designs, including several CLIO Awards, Any Awards of Excellence presented by the Advertising Club of New York. Mobius Awards, and awards from the Art Directors Club of New York, the Western Art Directors Club, the Los Angeles Art Directors Club, the Package Design Council, and the San Francisco Society of Communicating Arts, as well as multiple awards for creativity from both Communication Arts and Graphics. 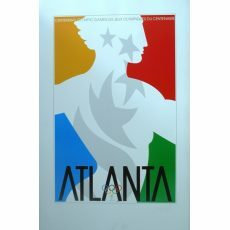 Most recently, Primo Angeli’s 1996 Atlanta Olympics poster, which is featured in the Olympic Museum in Lausanne, Switzerland, was designated by Juan Antonio Samaranch, International Olympic Committee President, as the official poster of the 1996 Centennial Olympic Games. A number of Mr. Angeli’s designs are in permanent collections and exhibitions worldwide, including the Metropolitan Museum of Art in New York, Smithsonian Institution and Library of Congress in Washington, D.C. Olympic Museum in Lausanne, Switzerland, Cooper-Hewitt Museum of Design in New York, Achenbach Collection at the Legion of Honor Museum in San Francisco, San Francisco Museum of Modern Art, Warsaw Poster Collection, and Centre Georges Pompidou in Paris. Primo Angeli’s designs have been featured in numerous publications, including Idea magazine, Graphis, Package Design, Graphic Design: USA, Industrial Design and Communication Arts. In 1989 Rockport Publications released a book on Mr. Angeli’s work called Designs for Marketing. Mr. Angeli’s current book, Making People Respond, will be available in 1996. Mr. Angeli travels and lectures extensively to professional and university groups.